The governor won't collaborate, and people with mental illness in state care pay the price. The problems at Riverview Psychiatric Center will outlast the LePage administration, and Gov. Le-Page has no one to blame but himself. While significant strides have been made on the staffing, care and safety issues that cost Riverview its federal accreditation in 2013, a final hurdle remains to be cleared, one LePage continues to trip over, taking no lessons from his repeated failures. The governor’s plan to build a separate facility for patients who are not ready to be released but do not require the level of care provided at Riverview has now been questioned by both Republican and Democratic legislators and by municipal officials in both Bangor and Augusta. It’s not that anyone disagrees that such a facility should be built – it is widely accepted that a new building is necessary to free up beds at Riverview, so that people in crisis now waiting days for a room, often in a hospital emergency department, can get help in a more timely manner. It’s just that the governor feels he is under no obligation to explain what is a major shift in how some patients now at Riverview will be handled. Each time he’s been rebuffed, LePage has blamed the other party for playing politics and not caring enough about Mainers with mental illness. Never once has he considered that his plan may not be complete, or that others in Maine have a role to play in making sure the facility is a success. The governor first proposed placing the new 21-bed facility in Augusta late last year, after previous proposals for dealing with that population were dismissed for being poorly conceived and underdeveloped when put before the Legislature. The plan cleared the relatively low bar of the Augusta Planning Board, but only after the matter was delayed because the administration failed to answer basic questions about the facility’s operation. The administration then refused to brief the Legislature about its plan, despite valid questions from Democratic leaders and Republican Sen. Roger Katz, whose district includes Riverview. Ultimately, when no answers came, the Democrats blocked construction of the new building. During that fight with the legislators, the administration said Augusta was the best place to house the facility. Having it next door to Riverview would result in efficiencies and better care, they said. Moving it to another community could add $1 million to the cost, they said. 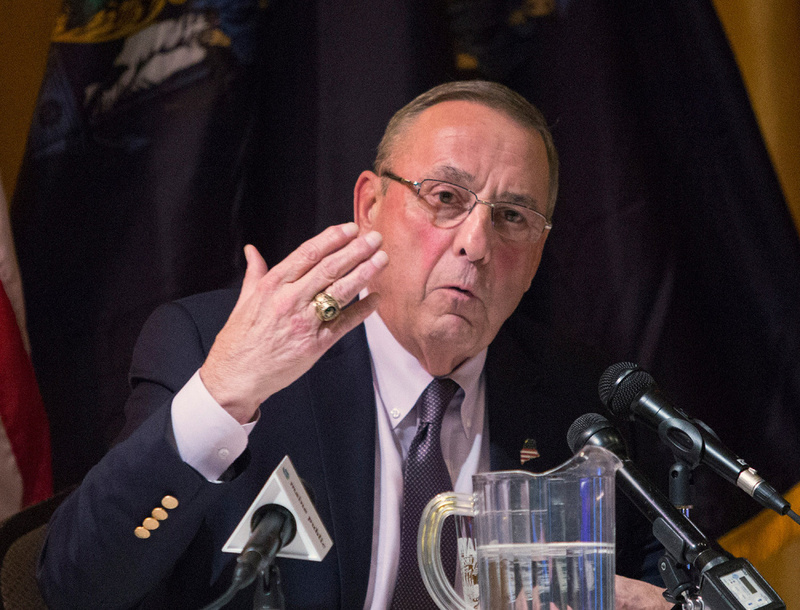 However, after Democrats blocked the plan, LePage said he would build the facility in Bangor. Gone were any mention of the efficiencies lost or costs added by building away from Riverview. As he had throughout the process, the governor stressed the urgency to get it built as soon as possible. Then, more than four months went by before the administration announced its plan for the Bangor facility. When city officials there raised the same questions that have gone unanswered for months now, LePage refused to comply. He went so far as to say that “participation from the City of Bangor and its services will not be necessary,” a funny thing to say about the people who will police the facility, and who will deal with problems with neighbors when and if they arise. Now, the Bangor City Council has placed a six-month moratorium on the project while it seeks answers. LePage says he may sue the city, and that perhaps his administration will keep looking for a community that won’t ask questions. But rather than walk from town to town with a set of incomplete plans and a bad attitude, the governor should go back to square one. A new facility in Augusta, next to Riverview, has always made the most sense, and it has wide support from the Legislature as long as LePage agrees to a brief hearing and comes prepared to answer questions about his plan. Why should it be privately run? Who will decide on admissions? What kind of therapy will be employed? What methods will be used to deal with out-of-control patients? Where is the money coming from, and what other programs are losing out? That hearing could have been held at the very beginning of 2017, back when the administration was still talking about breaking ground in the near future. Now, according to a court master report, the facility won’t open until March 2019. That delay falls squarely on LePage, who has heard the same criticisms of his plan from people up and down the state, yet still refuses to listen.